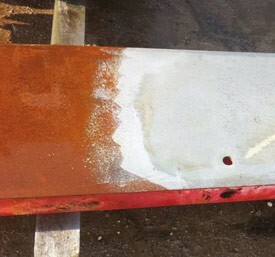 Guard Tech Cleaner is a rust stripper containing no hazardous acids. 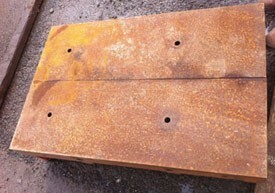 It is designed for cleaning formwork and all materials used in building and civil engineering. Click here for MSDS sheet. 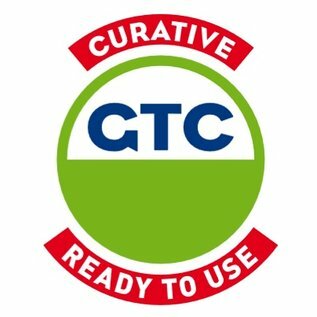 Guard Tech Cleaner is much less hazardous than other products on the market based on acids such as citric, hydrochloric and phosphoric acids. Guard Tech Cleaner has been designed to meet the various requirements of applicators ..." safety of use, effectiveness, low environmental impact and respect for the surfaces treated. 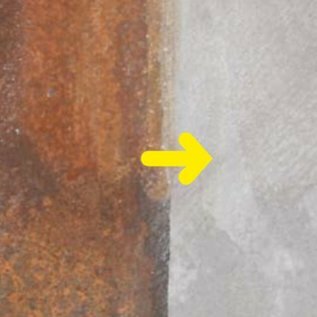 Unlike conventional acid products it is classed not as a corrosive but as an irritant, meaning it poses much less of a hazard during use. 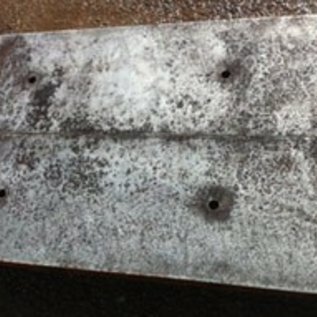 Guard Tech Cleaner is for outdoor use for removing rust from formwork and all building and civil engineering materials. NO HUMAN OR ENVIRONMENTAL HAZARD. FAST ACTING AND POWERFUL REMOVER. It is essential to do tests first. Spray the product with a low-pressure sprayer onto the dry substrate. Leave the product to act for about 30 minutes. 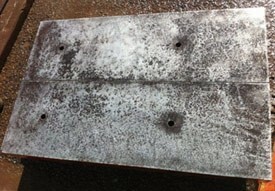 This time will depend on the amount of rust to be removed. Rinse the entire surface, preferably with a high-pressure cleaner. There is no need to neutralize after rinsing. 25 kg containers. 230 kg drums. 1000 kg IBC containers. Wear protective gloves, clothes and goggles. Do not allow product to dry. Do not dilute or mix with another product. 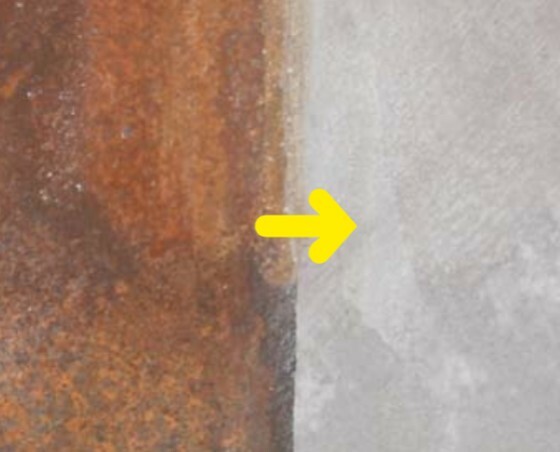 For best results it is essential that, GTC be used when the temperature of the substrates is between 5_ ¡C and 30_ ¡C. Do not apply in rain or very hot weather. Air temperature between 5_ ¡C and 30_ ¡C. Store in a dry place at a temperature of between 5_ ¡C and 30_ ¡C. Shelf-life: 24 months from date of manufacture, in original unopened can.